In what’s beginning to look like a trend (unless it’s not), Jurassic World will reportedly be ignoring those sequels that nobody liked. That’s according to Yahoo, which visited the (presumably dinosaur-filled) set of Jurassic World and came away with the revelation that it will be “a direct sequel to the original” Jurassic Park movie. 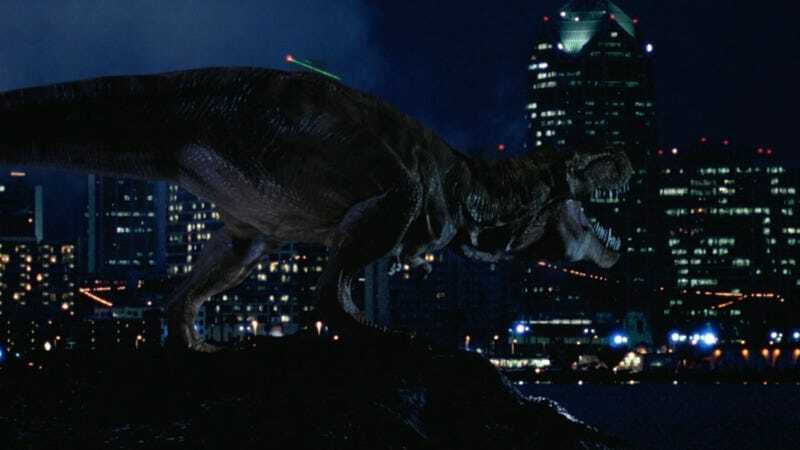 In other words, it’s not really going to worry about what happened in The Lost World and Jurassic Park III, because apparently people in that universe get over a dinosaur running through a major city pretty quickly. Director Colin Trevorrow says the sequels aren’t being removed from the canon Star Wars-style, though, just that they’re being “placed to the side” and completely ignored. Yahoo’s write-up has some more details about what to expect from Jurassic World—including the reveal of what New Girl’s Jake Johnson will be doing in it—but /Film is reporting on an even more exciting addition to the cast. We won’t reveal who it is, but we’ll say that she yells really loud and is fond of posing behind falling banners.